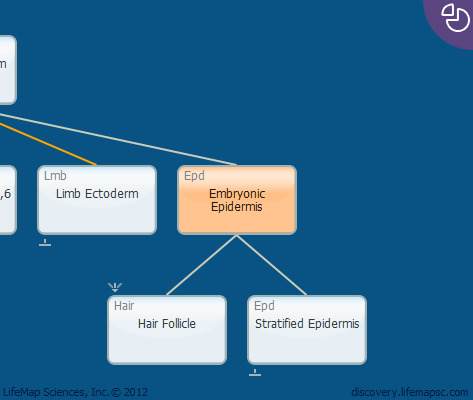 The embryonic epidermis is the first epidermal layer formed in the embryo. Its development begins at E8.5, when the surface ectoderm cells commit to an epidermal fate and form a layer of highly proliferative basal keratinocytes. The embryonic epidermis forms a unique intermediate layer differentiated from basal keratinocytes. The intermediate layer subsequently gives rise to the spinous layer, which marks the beginning of stratification.